The Partnership for Higher Education in Africa was a joint project of the Carnegie Corporation of New York, Ford Foundation, John D. and Catherine T. MacArthur Foundation, Rockefeller Foundation, William and Flora Hewlett Foundation, Andrew W. Mellon Foundation, and Kresge Foundation. The Partnership represented both a belief in the importance and viability of higher education in Africa and a mechanism to provide meaningful assistance to its renaissance. From 2000 to 2010, the Partnership awarded more than $439.9 million to support African higher education. 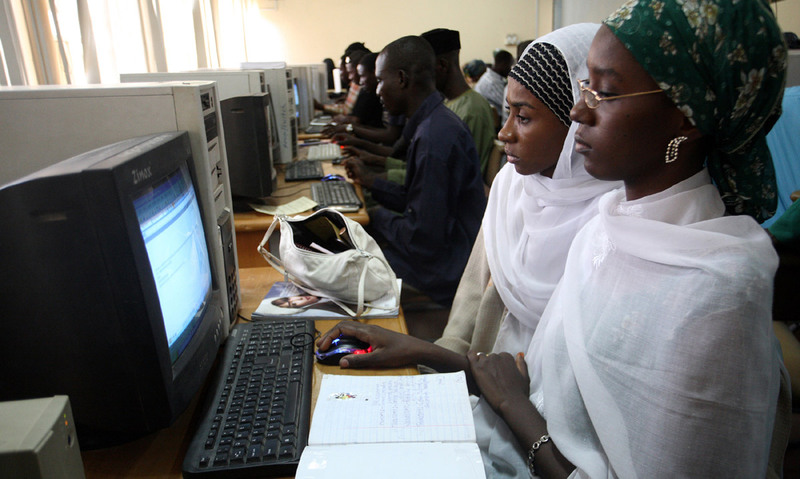 Why are investments in higher education so important for Nigeria’s development and its future? MYB: Not only is education one of the indices of development of any nation, it is also the foundation of all other indices, including health and economic development. This is why it is extremely important for any nation to invest heavily in education at all levels: primary, secondary, and tertiary. Further, for any nation to facilitate or sustain economic growth and development it must ensure that it has the right infrastructure. The social component of this infrastructure is human capital, which requires high-quality education. So investment in education is very important to Nigeria and its development. How did support through the Partnership impact Bayero University? MYB: The year 1999 is mostly remembered in Nigeria for the nation’s return to democratic governance. But it also ushered in several other good things for the nation. It was the beginning of a new administration at Bayero University, which designed and started implementing a development plan. The University was lucky that the Partnership started operation in May 2000. As a member of the Partnership, MacArthur supported Bayero immensely toward the realization of our plans. Through a series of grants from the Foundation, over the years, the University was able to improve its information technology, establish the Faculty of Agriculture, modernize its library, establish the Centre for Dryland Agriculture, and train about 160 academic staff at the postgraduate level. The University also re-equipped and re-tooled many of its laboratories and workshops. Two programs needed by the University’s larger community and the nation, nursing and dentistry, were also introduced. Bayero also invested in advanced training and education for junior faculty. Why was this important? MYB: For educational institutions to play the key roles expected of them, they need highly qualified faculty, as no university can rise above the quality of its teachers. There is also the need for continuous training and re-training of faculty and support staff. Partnership support was most timely, as the University then had many junior staff members in need of training. Investment in this area immensely assisted the University in improving the quality of its faculty and staff. It has also made it easier for the University to train faculty and staff for the newly introduced programs and other universities, as well as manage the issue of aging and retiring staff. How has the University’s reputation changed and developed over time? MYB: Over the years, the visibility and reputation of Bayero University has grown tremendously. 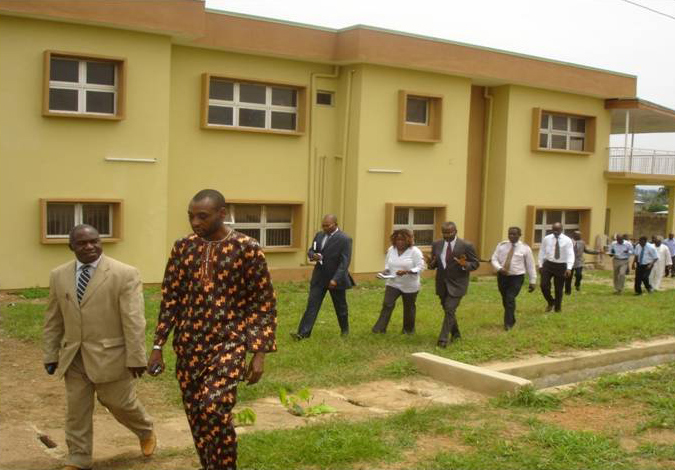 As early as 2005, Bayero became the most accredited university in Nigeria. Twelve years later, we are still among the top three most accredited universities in the country. Our reputation is reflected in the number of candidates that select us as their first choice. This figure keeps increasing. In 2016, we received over 65,000 applicants for only 8,000 vacancies. In terms of number of applicants, the University is among the top five–out of over 160 nationwide. This is certainly connected with the increasing and positive reputation of the University. The positive impact has extended to our students. Employers rate the University’s programs highly, and a disproportionately high number of our alumni occupy positions of responsibility in the public and private sectors. Our staff is also highly rated, as is evident in the number of significant government appointments, academic visits, and conferences. For example, a former Vice Chancellor of the University, Professor Attahiru Jega was appointed Chair of the Independent National Electoral Commission and restored integrity into the electoral process in Nigeria, and another, Professor Abubakar Rasheed is the Executive Secretary of the National Universities Commission. You’ve said the University’s mindset has changed. What do you mean by that? MYB: A popular African proverb says that it is better to teach a person to fish than to give that person a fish. Bayero has been lucky to receive both from its relationship with MacArthur through the Partnership. We received funding from the Foundation (to gain the strength to start fishing on our own), and the Foundation has been an excellent teacher. Since the Partnership began some 18 years ago, Bayero has enhanced its ability to raise and effectively administer funds, as well as to build an infrastructure for university advancement. The University has also developed a strategic plan every five years, a practice sustained from its work in the Partnership. Many units in the University have secured competitive research and development grants. An outstanding case is a World Bank grant of $8 million won by the Centre of Dryland Agriculture as an African Centre of Excellence. Nigerian universities succeeded in getting ten out of the 21 grants for West and Central Africa. Of the ten Nigerian universities selected, three are among the four beneficiaries of the Partnership. MacArthur awarded ten grants totaling $9.5 million to Bayero University between 2000 and 2011.